Diving in Hawaii: an incredible dive location! 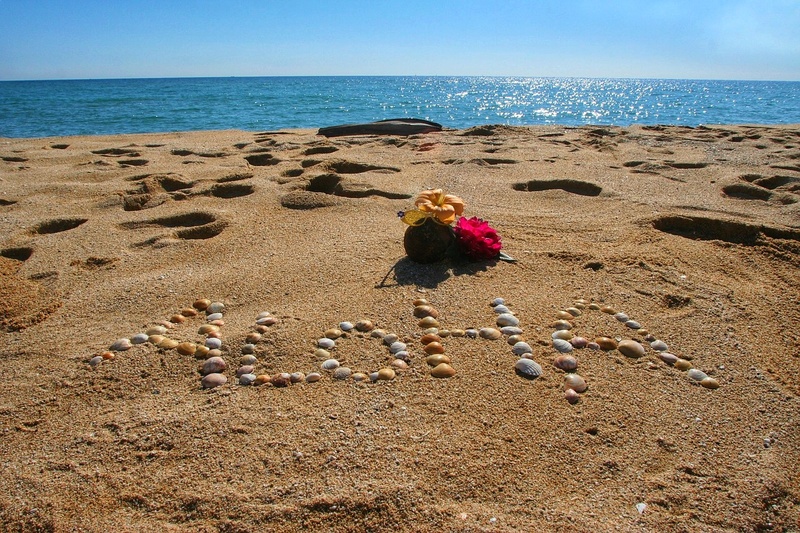 Home » Travel » Dive Destinations » Diving in Hawaii: an incredible dive destination! Hawaii is an incredible dive location! While diving in Hawaii you can see plenty of wildlife, colorful reefs, and interesting volcanic formations. Thinking of diving in Hawaii? Here is some Hawaiian dive info to help you plan your trip! This is arguably the coolest dive in Hawaii! Although you won’t be testing your skills with deep dives or encountering terrifying creatures with lots of teeth, you will get to do something totally unique. If you dive at the manta dive site near Kona, Hawaii, you’ll get the chance to swim with huge manta rays! Here, there are lights built into the reef, so everything is brightly lit after dark. 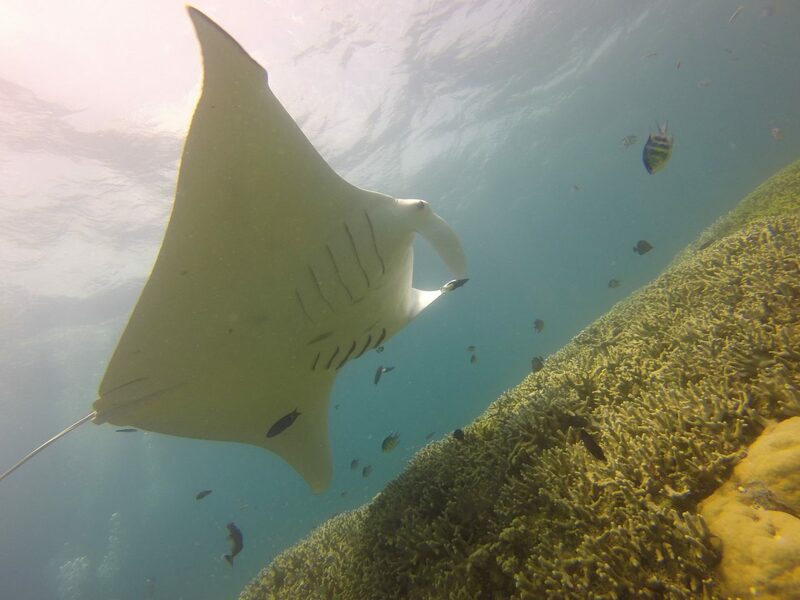 You can get very close to the mantas! Getting close to the mantas. A great night dive alternative for experienced divers is Blackwater Diving on the Kona side of the Big Island. Dive at midnight, and you can see a light show of bioluminescence all around you! 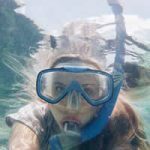 This is an awesome site for experienced divers. The back side of the Molokini Crater has a huge drop-off covered with bright coral that will dazzle your eyes. 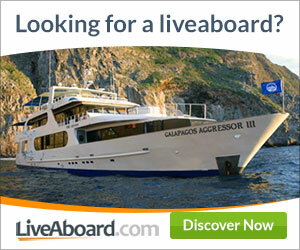 You’ll get to see sharks, dolphins, and maybe even whales when you dive here! No matter what skill level you are, you will be sure to love diving the Cathedrals! This site has crystal-clear water and a lot to see. You can swim through caves, under arches, and around interesting formations. The name “Cathedrals” comes from the light that streams into the caves through the lava-tube holes above. It looks like sunshine is coming in through stained glass windows. 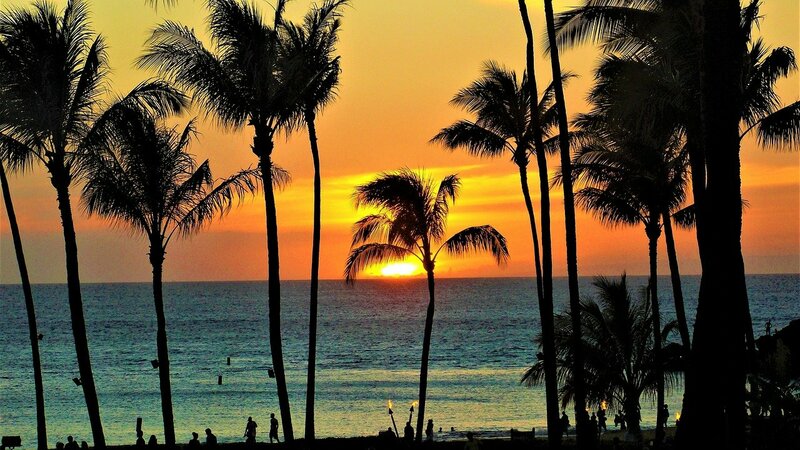 The Big Island of Hawaii is an ideal diver destination! Stay on the Kona side for the best access to awesome dive spots. There are endless dives to try around the Big Island, and you could stay for a lifetime and never see it all! Niihau offers some of the best diving in Hawaii, but it can only be accessed from spring to autumn. This tiny island offers impressive and difficult dives that will be sure to leave you breathless. There are a couple dozen dive spots off this island, and it offers an incredibly secluded and authentic experience. Good luck getting onto the island, though—it is privately owned and you must be invited in order to visit. The island of Kauai offers coveted access to the dive sites around Niihau. It also has many wonderful dive sites of its own! There are many dive operators that can take you to the best spots. The island of Maui has many awesome dive sites! If you like shore diving, this is the best island to visit. 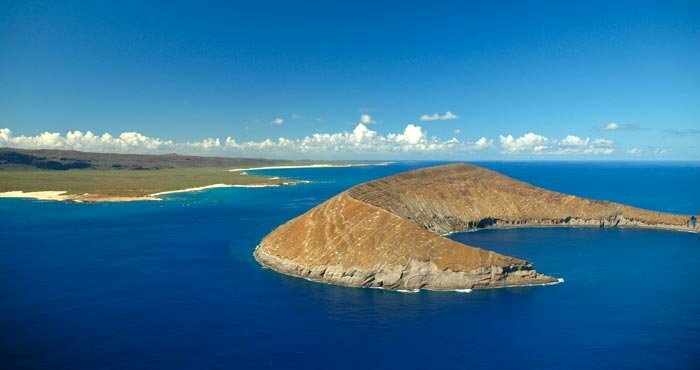 It also offers access to Lanai, Molokini, and Molokai’s dive sites so you can explore other locations, too. Although it’s one of the best Pacific diving destinations, there’s more to Hawaii than just diving! You can spend your free time surfing in world-class surf spots while you’re there. 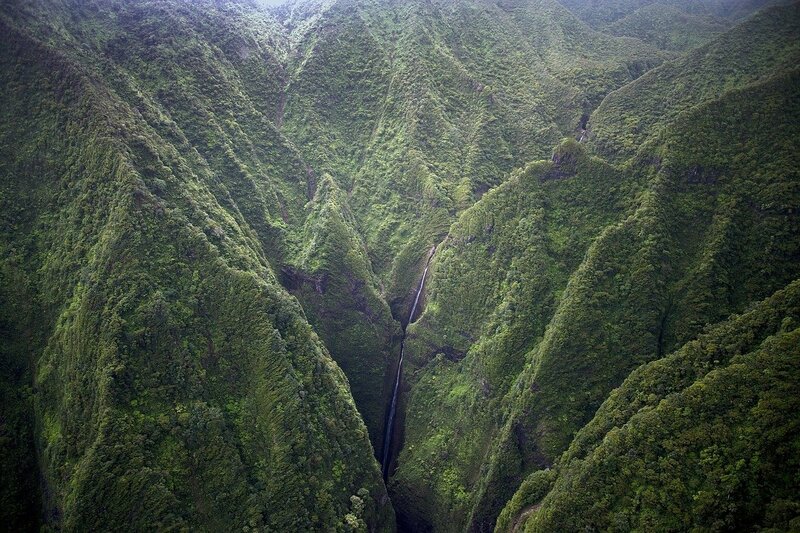 Or, go explore a volcano, visit a tropical farm, and hike to a sparkling waterfall! 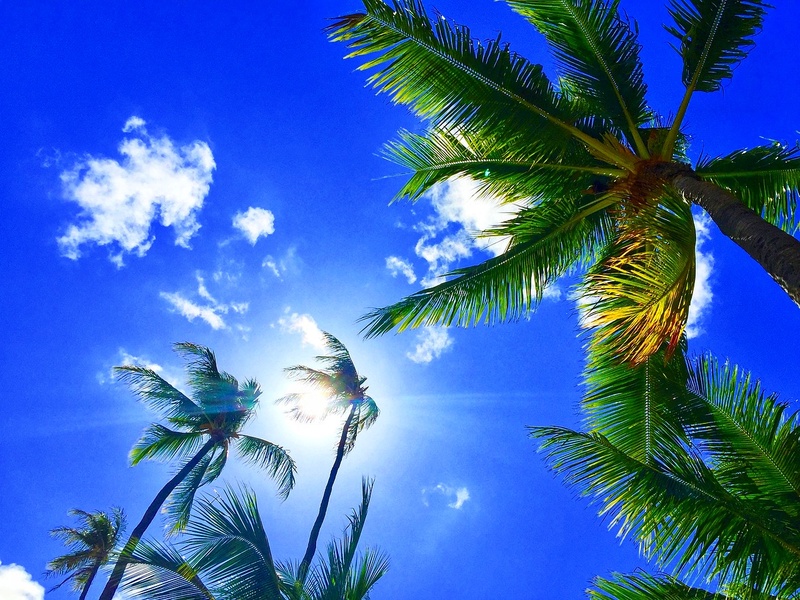 Hawaii is an excellent dive destination! The diversity of the Hawaiian Islands makes it a great place to go for divers of all levels. Be prepared to be amazed by the splendor of Hawaii’s underwater world! Breana Johnson is a freelance writer, former Caribbean expat, and masters student at the University of London. She'd rather be under the sea in the Leeward Islands, but for now she's appreciating beach days at Lake Erie.